Buy 5 Pro Comp Mounted and Balanced Wheels and Tires and get a Quadratec 23 Piece Classic Acorn Style Wheel Lug Nut Kit for FREE! For a savings of $39.99! Quadratec and Pro Comp have teamed up to deliver two popular wheel and tires packages straight to your door. Tires are carefully professionally mounted to their wheels using advanced mounting equipment that prevents scuffed wheels during the installation process. We then use a state of the art "road force" balancing machine with the most accurate balancing attainable for even those hard to balance oversized tires. In short, road force balancing "forces" a roller onto the tire tread to simulate the weight that will actually be on the tire as it spins. Tires are spun at highway speeds to ensure that a true balance is attained, which is crucial in performance, particularly for heavier off-road tires. All wheel and tire combos for 2007-18 Wranglers include new tire pressure monitor sensors installed to factory specifications. Center caps included. Spiral nylon overwrap for better stability and load carrying ability at highway speeds. Pro Comp Xtreme Alloys combine head turning style, light weight, a brilliant chrome, polished, or powder coat finish, and high offset brake clearance to meet the demanding standards of todays sport utility owners. Aerospace alloys and state of the art Counter Pressure Casting Technology provide unsurpassed wheel strength, beauty, and value. Xtreme Alloy Wheels include center caps.Pro Comp Alloys are designed using State-Of-The-Art Low-Pressure-Casting Technology providing unsurpassed wheel strength, style and value. 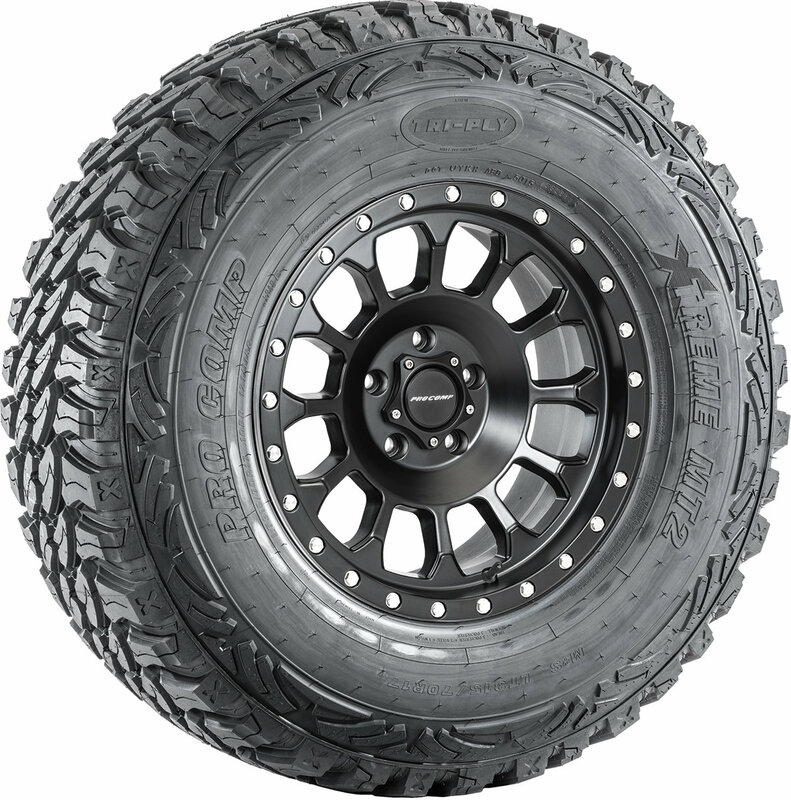 Tire Height: 34.40" or 32.70" or 32.60"
Tire Width: 12.4" or 11.2" or 12.0"